Fasting has been going on since the days of our earliest ancestors. Often they would have to fast when there was a no food available due to their hunter-gatherer lifestyle or due to famine. Today, intermittent fasting has become popular as research demonstrates that periods of fasting between meals has many benefits for your health. 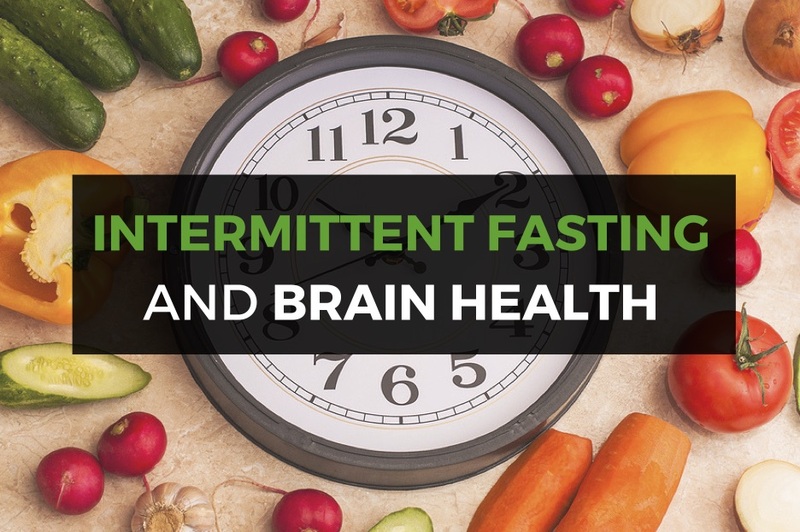 Intermittent fasting is a relatively new approach to weight loss to help you burn fat, and it is also good for your brain. There are several different ways to incorporate intermittent fasting into your routine. In one method, you severely restrict calories (think 400-500 total intake per day) two to three days a week. In another, you confine your food intake to an 8-hour period every day; and in yet another you fast once a week for a 24 to 36 hour period. (2) A popular intermittent fasting plan right now is the 5:2 fast. On 5 days of the week you eat as you normally would, while on the other 2 days you restrict calories to 500-600 per day. You need to keep your lifestyle and daily routine in mind when choosing the best method for you. Fasting isn’t for everyone, however. If you have a health condition of any type, then please check with your doctor first. It is not recommended for children, teenagers, or pregnant or breast feeding women. It’s best not to try this if you are recovering from surgery, sick with a fever, or on certain medications. It is also possible that you can experience some side effects of intermittent fasting such as headaches, fatigue, dizziness and moodiness. While intermittent fasting is one way to protect your brain, remember that eating a healthy diet and keeping your hormones in balance are key. Take our symptom checker quiz today to find out if you could have hormone imbalance.